We know that many people are scared of buying a smartphone or tablet online because you can't get an idea of what the device feels like in your hands. You also do not get an idea of how responsive a certain device is. And that is why Google is rumored to be opening a number of stores in major metropolitan areas of the United States. While selling Nexus smartphones and tablets online has been successful for Google, imagine if the company was able to attract those buyers who want to test out a device before buying it. The stores are expected to be open for the holidays in major cities. Google has done this before with Chrome stores within a store in hundreds of Best Buy locations in the U.S. 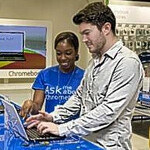 In the U.K., it has such stores in 50 PCWorld/Dixon locations where Google has trained the sales crew to know everything about chromebooks. 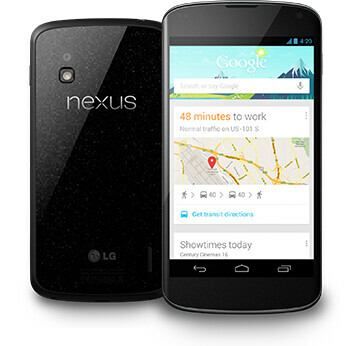 According to one source, Google has much bigger plans with its own stores. At the Best Buy and Dixon locations, the Google crew is there just to answer questions and the actual transactions, including the handling of money, is left to the store's own employees. At Google's own stores, Google employees would have total control. The decision to open these stores was planted in Google executives' minds when thinking about how they would sell Google Glass to the public. Without tech experts to show you Google Glass, it would be a hard sell in the $500-$1,000 price level that the device is expected to sell for. Once the decision was made to open a store to sell Google Glass, expanding the store to sell Google Nexus devices just seemed like a natural expansion of the idea. Speaking of ideas, Google also will have a chance at showing off its driverless cars and other technology. Soon, "I'm heading to the Google Store, wanna come along?" will be heard throughout this country. This is exciting! I might just apply to work at a Google store for fun and extra cash on weekends! Maybe get a free phone out of it too, lol. My only hesitation is having to sell and support smartphones that aren't made by Google. Kind of like what Microsoft has to do with the Microsoft Store. Still, maybe Google will only have mid to high end phones sold in the store and hell, maybe they won't do service in the store. We shall see! Mmmm I like the sound of this. I have a feeling they'll be a lot less douche baggy than Apple stores. But they'll probably be a lot nerdier which is fine by me. Why somebody always got to bring up apple. This is a clean article. Darn just like what you like. I got an iPhone 5, my kids got android tablets and phones, wife got a MacBook Air, i got an iPad mini and a gateway laptop and I ain't complaining. Unfortunately, you gotta get used to it... And then pertaining to the article....OPEN ONE IN PITTSBURGH I WANNA WORK AT A GOOGLE STORE!!! If one of these open near me I would consider working there. Google a new telco, free call and texting, Ad-supported. LOL! Release THE GOOGLE GLASSES and with youre UNLIMITED DATA PLAN I'm in GOOGLE! I've been thinking of this for a while, I would love to work at a Google store. Can't wait for these, but I think I live too far away from big cities to work at one; the closest "big" cities around me are Gainesville and Jacksonville, both well over 50 miles away. I would enjoy that as well. Hopefully they have one in Baltimore and/or Annapolis. This is the year Google overthrows apple completely. There will be a new Motorola phone powered by a Tegra 4, huge battery, 1080p Super IPS screen, 3gb ddr3 ram, 64gb phone solid state, 64gb micro sd, 4g lte. Google will buy T-Mobile and offer $30 a month unlimited Phone, Text and 4g LTE and the Motorola phone will be available unlocked sporting android 5.0 for $400. Amoled is samsungs technology. They could use an OLED which is much better than IPS/Amoled, but they are very expensive. The latest Amoled screens...Pentile is really a non factor. It was barely a factor on the Bionic and RAZR. On the G Nex, Maxx HD....non factor. But...if you can really see it alot and it bothers you...I understand not liking it. omg shut up and take my money! Luckily at&t has said by the end of 2015 like 85% of uverse will be fiber optics, att has more resources they will beat google to the punch on getting fiber everywhere. I agree with you, Amazon all day but not everyone is like that. I think its a great idea. OMG!!! I will switch my employer the day Google open up in Baltimore!! On things for sure....Google came a loooong way from a lil known search engine in the 90's. I hope they open up some stores in Chicago. Just one more excuse for me too spend the day in the windy city. If they open a store in Saint Louis and if my manager gets his dream job and leaves, I will likely find myself in the line to work at it. A store would be spectacular for getting more product in to customers hands, however if they continue to not produce accessories for their products, it will be a tough road. People want cases and chargers available in store when they buy the product, not waiting 6+ months for simple chargers and cases to possibly be made for Nexus devices. I love my Gnex and Nexus 10, but am disappointed in Google for not being able to make accessories available for these products. Still waiting for N10 pogo dock. Do they hire guard dogs?